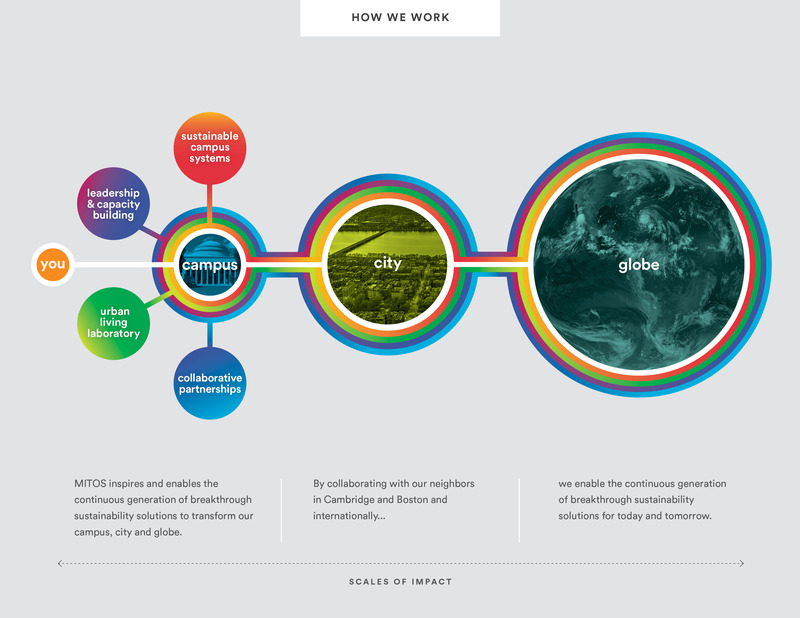 Our mission is to transform MIT into a powerful model that generates new and proven ways of responding to the unprecedented challenges of a changing planet via operational excellence, education, research and innovation on our campus. The MIT Office of Sustainability (MITOS) was established in 2013 under the Executive Vice President and Treasurer's Office to integrate sustainability across all levels of our campus by engaging the collective brainpower of our students, staff, faculty, alumni, and partners. We have set out to ensure that sustainability is a critical part of MIT’s standard operating procedures and is fully integrated into the working, research, teaching, social and cultural spheres of our campus. The MITOS team. Read more about the team here. The MITOS Strategy is organized into four areas of responsibility. While our work is based on campus, we are connected to the larger mission of MIT – to serve the nation and world. We have set out to have an an impact across scales, from the individual to the globe. Read about our Scales of Impact framework. Drawing from diverse academic and professional backgrounds, we work together to connect people, ideas and systems across the MIT community in ways that spark transformative and lasting change. Julie joined MIT as the Institute’s first Director of Sustainability in the summer of 2013. She has worked in the field of sustainable development and campus sustainability for twenty years. Her research has focused on the intersection between decision-making processes and organizational behavior in institutionalizing sustainability into higher education. Julie is also a Lecturer in MIT's Department of Urban Studies and Planning (DUSP). In 2004, Julie was recruited to be the founding Director of the Office of Sustainability for Yale University. At Yale, Julie held a lecturer appointment with the Yale School of Forestry and Environmental Studies where she taught an undergraduate course entitled – Sustainability: From theory to practice in institutions. Julie came to Yale from the University of New Hampshire, Office of Sustainability Programs (OSP) where she assisted with the development of the program since its inception in 1997. Prior to her work with the OSP she worked for University Leaders for a Sustainable Future (ULSF). In 2004 Julie co-founded the Northeast Campus Sustainability Consortium, to advance education and action for sustainable development on university campuses in the northeast and maritime region. Julie lectures and consults for universities both nationally and internationally, participates on a variety of boards and advisory committees and has contributed to a series of edited books and peer reviewed journals. Julie holds a BS in Natural Resource Policy and Management from the University of Michigan; an MS in Environmental Policy and Biology from Tufts University; and a Ph.D. in Natural Resources and Environmental Studies from the University of New Hampshire. See below for a list of Julie Newman's publications related to campus sustainability. Washington-Ottombre, C., Washington, G., Newman, J. (2018) Campus sustainability in the US: Environmental management and social change since 1970. Journal of Cleaner Production. v. 196, 564-575. Weber, S., Newman, J. (2017). Ecoregional analysis applied to campus sustainability performance. International Journal of Sustainability in Higher Education. Newman, J. (2012). An organizational change management framework for sustainability. Greener Management International. Galea , C. [Ed.]. pp. 65-75(11). Newman, J ; Rauch, J. (2009). Institutionalizing a greenhouse gas commitment at Yale. International Journal of Sustainability in Higher Education. Vol. 10 Issue: 4, 390 - 400. Newman, J. (2009). 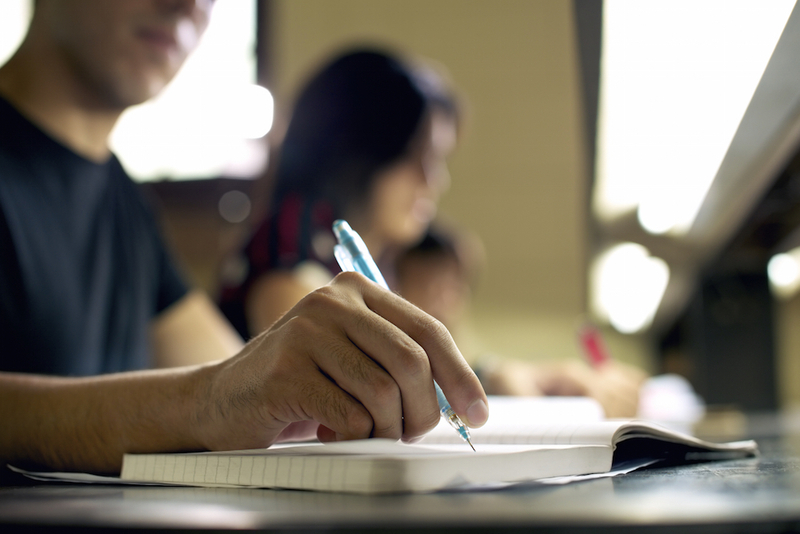 Education for Sustainability – Designing an educational system for sustainability. Encyclopedia of Sustainability. Great Barrington, Massachusetts: Berkshire Publishing Group, LLC. Newman, J.; Weber, S.; Bookhart, D. (2009) Institutionalizing campus-wide sustainability: A programmatic approach. Sustainability: Journal of Record. vo.2 no.3. Newman, J.; Rauch, J. (2009). Defining sustainability metric targets in an institutional setting. International Journal of Sustainability in Higher Education. v. 10. n.2., 107 – 116. Newman, J.; Rauch, J. (2008). Zeroing in on sustainability. Sustainability: Journal of Record. vo. 1. no.6, 387-390. Newman, J. (2008). Reconceptualizing a model for service learning in the context of a sustainable campus. Practical approaches to ethics for colleges and universities. New Directions for Higher Education. No. 142. , 17 – 24. Newman, J. (2010). Sustainability education. Siever, B. (Ed.). The Spirit of Sustainability Encyclopedia [pp.148-150]. Great Barrington, Massachusetts: Berkshire Publishing Group, LLC. Newman, J. (2007). The impacts of cell phones and laptops in a sustainable world. Kleiman, S. (Ed). Displacing Place: Mobile Communication in the 21 st Century. [pp.77-83] New York, New York: Peter Lang Publishing. Newman, J. (2006). The role of a campus sustainability professional in facilitating institutional reform. 147 Tips for Teaching Sustainability [pp.99-102]. Timpson, W. [Ed]. Madison, Wisconsin: Attwood Publishing. Newman, J., Abrams, E. (2005). Organizational structure and rational choice: Unveiling the obstacles to integrating sustainability into decision-making in an institution of higher education. Leal Filho, W.(Ed) Handbook of Sustainability Research. Frankfurt, Germany: Peter Lang Scientific Publishing. Newman, J. (Ed.). (June 2011). Green Education: An A-to-Z Guide. (vol.7). Thousand Oaks, CA: Sage Publications, Inc.
Newman, J. (Ed). (June, 2011). Green Ethics and Philosophy: An A-to-Z Guide (vol. 8). Thousand Oaks, CA: Sage Publications, Inc.
Newman, J. Fernandez, L. (2007). Strategies for Institutionalizing Sustainability in Higher Education – Report on the Northeast Campus Sustainability Consortium 3rd Annual Conference. Yale School of Forestry and Environmental Studies. Report n.10. New Haven, CT: FES. Newman, J. (2009). Reaching Beyond Compliance: The Challenges of Achieving Campus Sustainability. Germany: VDM Publishing. Newman, J. (2005, April). Strategies for integrating sustainability into higher education: A case analysis of Yale University. United Nations Decade of Education for Sustainable Development – The role of higher education institutions. Graz, Austria. Newman, J. (2002, August). What keeps universities from fully embracing sustainability principles? : A presentation of a conceptual framework for research. Conference proceedings of the National Association of Environmental Education. Newman, J. (2001, October). Consumer choice, sustainability, and a constructivist pedagogy. Conference proceedings of the National Association of Environmental Education. Emma Corbalan joined MIT as a Project Manager for Sustainable Design and Construction - in a new role that is meant to bridge the offices of sustainability, campus planning, and facilities. Emma spent her first year with the Office of Sustainability and then moved to Campus Planning, where she is currently at work. Her final destination will be on the Campus Construction team. Emma is a licensed architect and project manager with ten years of experience leading projects, primarily in the life science and corporate commercial sectors. Her personal and professional interests are focused on the design and execution of sustainable, high-performance buildings. As a member of her previous firm’s Sustainability Leadership Team, she was responsible for leading sustainable design initiatives, reporting of annual project energy performance as part of the 2030 initiative, supporting project teams seeking LEED certification, and presenting course material on sustainable design strategies and the LEED rating system. Emma holds a Bachelors of Architecture from Syracuse University and a Masters of Business Administration from Boston University, with a concentration in Energy and Environmental Sustainability. Emma is a member of the Commercial Real Estate Women (CREW) Boston Sustainability Networking Group, and is the Vice-Chair of the USGBC MA Chapter Advocacy Committee, which promotes legislation, initiatives and policies that will advance sustainable building practices in Massachusetts. Rebecca provides administrative support to all staff members in the Office of Sustainability. She joined the office in March 2016 and acts in the role of office manager, human resources administrator, and event planner. Rebecca has over 5 years of experience as an administrative professional. She recently was named a co-chair for the MIT Working Green Committee, a group that promotes sustainability among staff members. Prior to joining the Office she worked for the MIT Department of Civil and Environmental Engineering as an assistant to three prominent faculty. Rebecca has a M.Sc. In Environmental Social Science from the University of Kent and a B.A. In Anthropology from the University of Massachusetts, Amherst. Brian Goldberg, LEED AP BD+C AICP, is an environmental planner who joined MIT in June 2016 to help advance projects in climate, stormwater, land and waste management. He brings 15 years experience working with cities, communities, not-for-profits and private developers to optimize environmental and social benefits while mitigating risks. Brian’s perspectives are drawn from urban and rural projects in the U.S., Africa, Asia, Australia and the Caribbean. He comes to MIT after a decade at the global engineering, planning and design firm AECOM and was previously working for the United Nations and James Corner Field Operations. He holds a Master of Environmental Management from Yale University and a B.A. in Political Science from Union College. Susy joined MIT to work on campus sustainability in January 2013. In her role, she works closely with administrative staff, faculty, students, and community members to integrate sustainability into the Institute. She worked alongside leaders at the Institute to help develop the strategic framework for the Office during its launch in 2013. She currently works on a range of projects related to mobility, food systems, materials management, student engagement, and outreach. Susy has fifteen years of experience building networks to advance healthy, sustainable communities. Before her arrival at MIT, she was a Program Manager at Northeast Energy Efficiency Partnerships in Lexington, Mass., where she worked to advance regional, state, and local energy efficiency policies related to schools, public facilities, and building energy codes. Susy began her career in Philadelphia where she worked to increase nutritious, local food options in Philadelphia neighborhoods, managing the city’s landmark nutrition education program in 70 public schools. She currently sits on the City of Cambridge's Recycling Advisory Committee. Susy has an M.A. in Urban & Environmental Planning & Policy from Tufts University and a B.A. in English from Bryn Mawr College. Steve helped to establish the Office of Sustainability in 2013. Prior to this, Steve was leading campus sustainability efforts as Deputy Director within the Environment, Health and Safety Headquarters Office at MIT since 2005. In this new capacity, Steve works to develop, promote, and coordinate MIT-wide policies and programs to advance the Institute’s commitment to sustainable practices, while integrating campus-focused research and learning opportunities with MIT’s faculty, students, and the broader community. Steve serves on a number of advisory and working committees serving the Institute, the Cities of Cambridge and Boston, and his hometown of Winchester. He is an active volunteer with the Cambridge Schools Volunteers where he has mentored 5th and 6th grade students for ten years. Before joining MIT, Steve worked in a variety of environmental research and planning capacities in management consulting, technical consulting, and non-profit policy research, including the World Resources Institute, United Nations Development Programme, World Bank, and Arthur Andersen. Steve is an environmental planner by training with 20 years experience in environmental policy development and program implementation. He holds a Bachelors degree in international economic development from Brown University, and a Masters degree in environmental policy and planning from the Massachusetts Institute of Technology. Derek joined the Office of Sustainability in January 2016. Derek is helping the office build out a dynamic data practice that tracks operational performance and enhances institutional decision-making. He has experience working with a variety of statistical software to clean, transform, and analyze complex datasets. In addition, Derek has experience developing interactive and user-friendly dashboards to visualize analysis results. Most recently, Derek worked as a contractor for the Department of Homeland Security analyzing trends in large volumes of international traveler data. He received a Master of Public Affairs degree from Indiana University’s School of Public and Environmental Affairs in 2014. His academic specializations are in economic development, public finance, and sustainability. Our students develop meaningful work to advance a sustainable campus at MIT and to build their professional experience in institutional transformation. We hire both undergraduate and graduate students to help shape the future of sustainability at MIT and beyond. Check out our open fellowship postings here. Meet our current student fellows! Audrey joined the Office of Sustainability in October 2018 to work on advancing the Pathways to Sustainability Leadership framework. She collaborates directly with the office director to identify improvement opportunities on the campus as they relate to planning, operations, and community engagement. Audrey conducts literature reviews and assessments of industry best practices as well as innovative technology & policy solutions. She develops quantitative, visual materials that bring to life sustainability priority areas for MIT students, staff, and faculty groups. Audrey is an MIT Leaders for Global Operations (LGO) student, pursuing a double degree in Management and Civil & Environmental Engineering focusing on sustainable supply chains. Previously, she worked at Oliver Wyman where she advised clients in procurement, logistics and organizational effectiveness. Outside of project work, she co-founded her office’s green committee and worked on sustainable sourcing and waste reduction initiatives. At MIT, Audrey is looking to learn more about integrating sustainability into operations and leading organizational change. 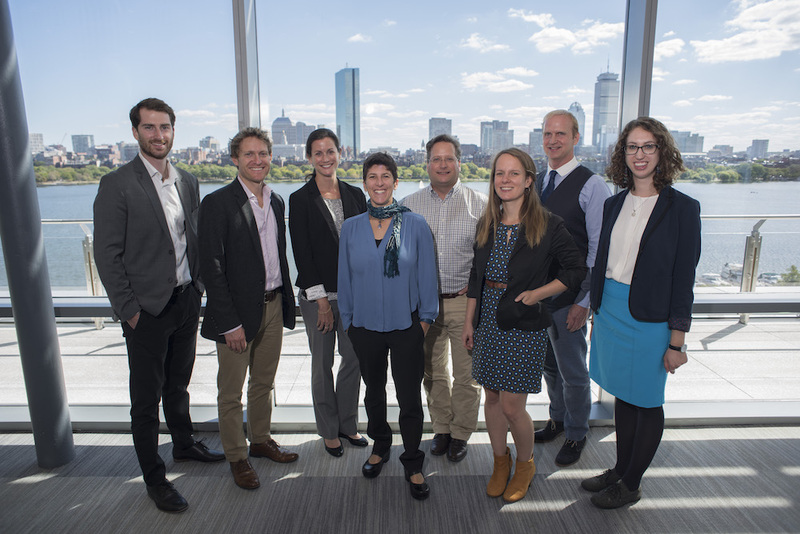 Jasmine joined the Office of Sustainability in October 2018 as the Climate Resiliency Fellow to advance MIT’s research and planning agenda of MIT’s campus-based climate preparedness, business continuity, and adaptation endeavors. Drawing from experience and expertise in digital platform development, human-centered design, spatial analysis, and environmental management, Jasmine seeks to enhance engagement from key stakeholders and partners at MIT and across Metro Boston region in the use of climate resiliency information, tools, and approaches to lead to improved efficiency and impact of their climate resiliency and preparedness planning efforts. Jasmine is a masters candidate with MIT’s Integrated Design & Management (IDM). She looks to create, improve, and scale up services, products, and systems that will lead to more efficient, sustainable, and equal use of natural resources through an integrated approach in design, engineering, and business. Prior to MIT, Jasmine worked at the World Resources Institute, where she led the development of data platforms that empower businesses, communities, and governments to identify sustainable solutions. Jasmine also engaged in projects on natural infrastructure, urban sustainability, and water resources management, and wildlife conservation. Jasmine earned a Master of Environmental Management from Yale School of Forestry & Environmental Studies and a B.A. in Environmental Science and a minor in Economics from Colby College. Sabira Lakhani is a Masters student at MIT's Integrated Design Management program. She has a background in waste management leading Operations and Client Experience Team at Saahas Zero Waste processing 30+ tons of waste per day. Sabira is also the co-founder of Grinding Stone, a zero-waste products company in Bangalore, India. Previously she worked in impact investing venture capital, strategy and management consulting at IBM, and environmental consulting, all in New York. Yue joined the Office of Sustainability in September 2018. As a fellow at the Office of Sustainability, Yue is helping to develop a data-driven understanding of campus material flows and impacts from procurement through disposal. The position is aiming at processing MIT camps material data into information that can support communications and administrative decision-making. Yue is the Science Master candidate of Architecture Studies at MIT focusing on global sustainable urbanism. He holds a Master of Architecture Degree from Tongji University and a Bachelor of Architecture Degree from Dalian University of Technology, with a distinguished graduate award. Concurrent with his study, Yue has also practiced as an architecture intern and an urban designer in Kengo Kuma & Associates, Office for Metropolitan Architecture, and SOM. Theresa joined the Office of Sustainability in September 2018. In her role, she reports on a range of sustainability topics at MIT, from climate action to research from faculty and students. She writes and edits articles on sustainability issues for print and web-based media. She also creates visual and written communication material for MITOS as part of its design and digital strategy. Theresa is part of MIT’s Class of 2019, currently studying science writing with a minor in biology. Theresa has previously interned with PBS: NOVA and National Geographic Magazine, where she reported on science and current events, particularly in public health and the environment. At MIT, she pursues Materials Science and Engineering with the hope of designing more sustainable materials but focuses her extracurricular efforts on impacting the MIT community more directly as co-chair of the UA Committee on Sustainability and has collaborated with many other organizations like FossilFreeMIT, Energy Club's Climate Action Team, ESI, and MITOS in this capacity. Join our team of creative individuals working towards a more sustainable MIT. As our role on campus continues to grow and evolve, we'll post both full-time and student fellowship positions to meet our goals. There are currently no full-time positions open at MITOS. The MIT Office of Sustainability (MITOS) is currently seeking student applicants for 2 full-time paid Sustainability Fellowships for Summer 2019. Join a dynamic, collaborative office that is developing MIT’s next generation vision of campus sustainability. Read below for descriptions of each position and an overview of the details and qualifications. Demonstrated coursework in water, land, energy, materials, food systems, and/or building-related topics within the Departments of Architecture, Urban Studies and Planning, Civil and Environmental Engineering, Materials Science and Engineering, Mechanical Engineering or similar. Send a resume and cover letter to mitosjobs@mit.edu with the name of the position in the subject line. See below for descriptions of each positions and associated qualifications. We are no longer taking applications for this position. MIT’s Office of Sustainability (MITOS) is seeking a student fellow to scale its analytics and visualization practice. The fellow will use open source data science programs, such as R and Spark, and visualization programs, such as tableau, to process MIT campus sustainability data into information that can support administrative decision-making. MITOS works closely with MIT operations departments across the Institute to enhance and accelerate campus sustainability. Analytics are fundamental to MITOS’ approach. The fellow will work across several sustainability topic areas, which may include energy, waste, water, transportation, buildings, and more. The Communications, Design, and Digital Outreach Fellow will develop dynamic written and visual materials that empower MIT and the broader community to learn and take action on a range of important sustainability issues, from climate resilience to sustainable mobility. This position requires a creative communicator who is passionate about social, scientific, and environmental change as well as values the importance of using digital platforms for communication, storytelling, and learning. This position will work closely with MITOS project managers on an array of communications platforms, including sustainability.mit.edu, datapool.mit.edu, and climate.mit.edu. The ideal candidate will have experience with Drupal, graphic design, video, social media, and strong written and interpersonal skills. MIT Dining, in partnership with the MIT Office of Sustainability, is seeking a student fellow to work collaboratively over the summer to advance a sustainable campus food system, focusing on procurement, waste, and education at MIT. Develop outreach and education materials (website updates, news stories). We look forward to hearing from you. Send us your comments, questions, and ideas for creating a more sustainable MIT.